Everyone, regardless of how well you see, should have a thorough eye exam every one to two years—more often if you’re over 60, have a family history of eye disease, a strong prescription, or wear contacts. Regular eye exams, even for patients with good vision, are critical to maintain eye health and diagnose sight-threatening problems as early as possible. 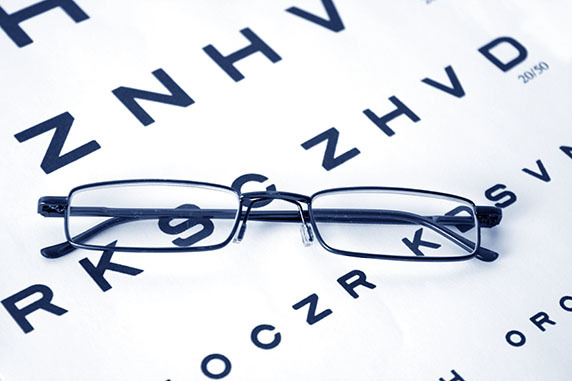 At Ballard Optical, every patient receives a comprehensive eye health and vision evaluation. Dr. Schneider conducts all of the testing himself, which means our patients get a meaningful, personal examination without interruption from technicians and ancillary staff. Before coming to your appointment, we encourage you to think about any concerns you may have regarding your eyes or vision. Dr. Schneider will address these concerns at the beginning of and throughout the appointment, making sure all of your questions are answered. During the exam, Dr. Schneider will carefully check both the vision and the health of your eyes and related structures. Most of our patients choose to have a digital image taken of the back of the eye, instead of having the pupils dilated. This can save about 30 minutes in the office and allows Dr. Schneider to review the structures inside the eye one-on-one, not to mention you won’t leave the office with blurry vision! Be sure to ask Dr. Schneider if you qualify for this service. After your exam, a trained optician will meet with you one- on-one to discuss your vision correction options and insurance benefits. Examination of the structures inside the eye is an important component of an eye health evaluation. Advanced technology allows us to image the inside of the eye in a fraction of a second without drops or dilation. Certain eye diseases are much easier to identify and diagnose with retinal imaging compared to pupil dilation. Ballard Optical is proud to offer the very latest in cutting-edge retinal imaging to our patients. In most cases this allows our patients to avoid the additional time and discomfort of pupil dilation. Similar to an ultrasound, where sound waves are used to image internal structures, an OCT uses light waves to image the layers inside the eye. We use high-definition spectral-domain OCT, the state-of-the-art retinal imaging platform. This technology, normally only available in big, impersonal clinics, is available to all of our patients right in our office.